Kimi Raikkonen admits his experience in F1 means he is not concerned by his slow start to the season, especially after seeing Fernando Alonso score Ferrari’s first podium of 2014 in China. So far Raikkonen’s return to Ferrari has not gone quite as expected, with seventh in Australia his highest finish from the first four races. He has previously put his struggles down to driving style but is content with what he has managed to do with the car so far in tricky circumstances. “I’ve been here long enough to know this is how it goes sometimes,” Raikkonen said. “We all want to do better, we don’t want to finish in these kind of positions but I would take this rather than nothing. Raikkonen’s struggles have been a contrast to Alonso’s form so far this year, with the Spaniard seemingly far happier behind the wheel of the F14 T. Alonso finished third in China and Raikkonen is using that as proof he can put right his early problems. “We know we have improved things. We have improved every race. If we would take a look from Australia to [China], we have obviously made a lot of improvements. Sometimes it’s hard to see from the outside but we know ourselves. I was pretty happy with the car in Bahrain and in China we had some issues early on and couldn’t run, which didn’t help. In two days time, the Ayrton Senna Tribute 1994/2014 event gets underway at Imola’s Enzo e Dino Ferrari circuit from 1st to 4th May. It’s a tribute in memory of the Brazilian champion, who died tragically in the 1994 San Marino Grand Prix. On the twentieth anniversary of his death and that of the Austrian Roland Ratzenberger, who also died during qualifying for this Grand Prix, the Imola circuit is opening its doors to the public for four days of motor sport memories. Among the guests who will attend the commemorative ceremony on Thursday at 13h30 will be Fernando Alonso and Kimi Raikkonen. Although they were both very young at the time, they were already keen enough about motor racing to be affected by Senna’s achievements. Comparing Kimi to Senna is ludicrous. Senna was consistently on form in his understanding of his car and of the team. He was passionate. If Senna was in that second Ferrari today, he would have made it work to his advantage. That is the big and glaring difference between the two. Kimi is Kimi..i get that, he is amazingly fast and have huge talent, he is one of four fastest drivers in present F1, but he could have had multiple titles if he had been more involved in offtrack activities.. Your comments are way over sometimes, if you had read the statements correctly, there is no direct comparision rather some individual similarities/points and the major difference between senna and kimi is also highlighted. Your assumption that senna would take the current ferrari car for a ride will never be proven. But your free to imagine, btw didnt schumacher have problems returning to f1? 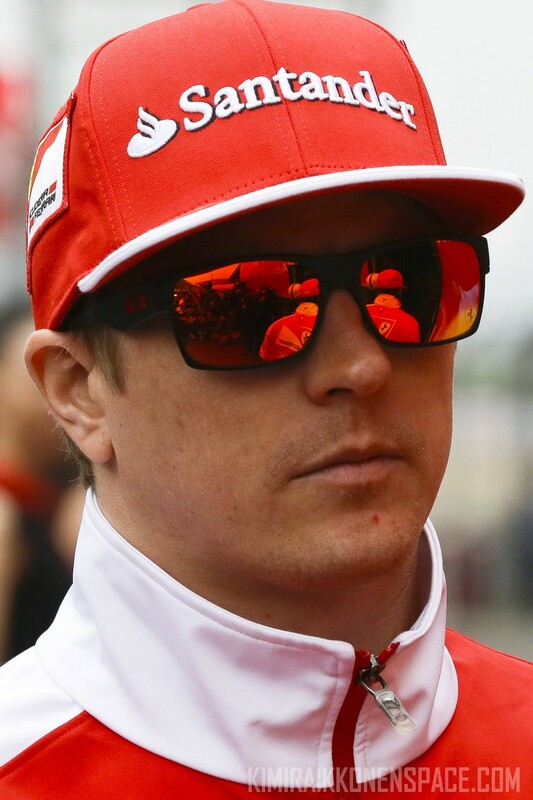 From my part, I think that if kimi were given vettel’s winning cars and this year’s mercedes the gap between 1st and 2nd would be far from today’s numbers but then again Im assuming…..
Keep calm and let kimi solve his issues..he’ll be back..